Bengaluru-based Finwizard Technology Pvt. Ltd, which runs wealth management app Fisdom, has raised $3.84 million (Rs 25 crore) in a Series B round led by Quona Capital Management Ltd, a venture capital firm that focuses on the fintech sector. Existing investor Saama Capital, too, participated in the round, Fisdom said in a press note. In October last year, Fisdom had raised $1.1 million from Saama. The fresh capital will be used to ramp up its technology backbone, besides expanding its team and boost customer acquisition efforts. Fisdom will also add new financial products, including insurance schemes and the National Pension System to its portfolio. “In Fisdom, we are thrilled to back a team that is taking a uniquely holistic, customer-centric approach to developing savings, investments and financial management tools for underserved consumers,” said Quona Capital founding partner Ganesh Rengaswamy. The venture capital firm manages the Accion Frontier Inclusion Fund. “As a fintech-focused fund in emerging markets, the team has deep and relevant understanding of our business, and we hope to benefit from their insights,” said Fisdom CEO Subramanya SV. In January 2016, the company had secured $500,000 from a clutch of angels, including Silicon Valley-based venture capitalist Rob Chandra, CommonFloor co-founder Sumit Jain, TaxiForSure co-founders Aprameya Radhakrishna and Raghunandan G, Wooqer CEO Vishal Purohit, JM Financial CEO Rajeev Chitrabhanu and Macquarie Capital’s Gaurav Gupta. 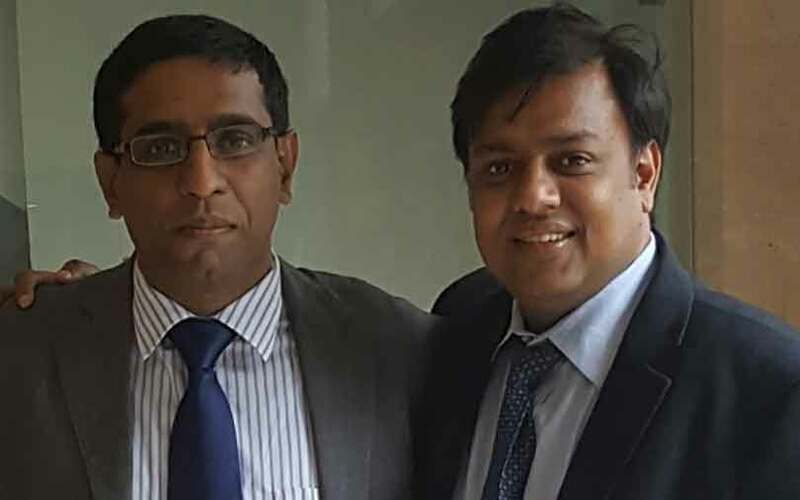 Fisdom was founded by Subramanya, Ramganesh Iyer and Anand Dalmia in September 2015. Subramanya was a former managing director at venture capital firm Bessemer Venture Partners and is also an angel investor, having backed startups such as DailyNinja, Cartisan and Goodbox. Dalmia worked with Macquarie Capital India before starting Fisdom. Iyer, who was an investment manager with Peepul Capital Advisors, left Fisdom in early 2017 and is no longer associated with the company. Fisdom is a mobile-first platform where users need to go through a simple registration process to get access to a host of financial products to invest in. All services, from onboarding, advisory, transactions, tracking and rebalancing, is completely digital and automated is offered free of cost. Customers can view and manage their investments, besides withdrawing money at any point in time. It also provides a wealth manager for free, and deals only in mutual funds. Over the past one year, Fisdom claims to have facilitated more than 100,000 mutual fund investments worth over Rs 100 crore. Of late, a few personal finance and wealth management platforms have elicited investor attention. In August, Mumbai-based personal finance app Piggy was backed by Y-Combinator with a $120,000 seed investment as part of its summer accelerator programme. In July, personal finance and wealth management platform Upwardly had raised a seed round of funding from a clutch of investors. In June, Mumbai-based personal finance startup Fincash.com, run by Shepard Technologies Pvt. Ltd, had raised $100,000 (Rs 64 lakh) in its first round of funding from a clutch of individual investors. Besides, a host of other online investment platforms, including Goalwise, Scripbox, and Tauro Wealth, have also received funding in the recent past.